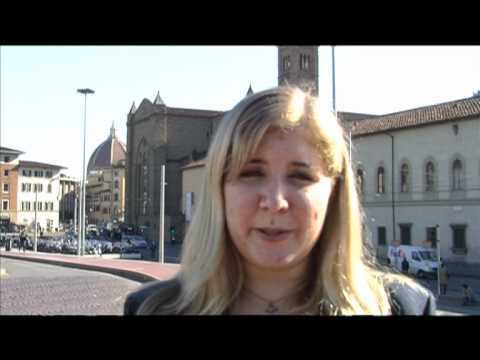 Traveling to and from Florence by train is very common and simple. The Santa Maria Novella Train Station opened in 1848 but was rebuilt in 1934. This station, used by over 50 million people a year, is located close to the city center. There, you will find two different transportation companies, Trenitalia and Eurail. Trenitalia is more affordable, while Eurail offers faster trains to destinations all throughout Europe. If you choose Eurail, you can purchase Italy passes, regional passes, or global passes, which are available online and in the station. After purchasing a ticket either online or at the station, make sure to validate the ticket before boarding the train. An unvalidated ticket can lead to heavy fines. In addition to train travel, many buses depart from nearby the station, making it a common meeting point for tours and travel groups. Look out for student discounts online to save money!